It's amazing how lazy an otherwise hard-working attorney can be when it comes to marketing his services. The same person who diligently combs through records, interviews witnesses, and deposes expert testimony when litigating a case will somehow believe that there's a single "magic trick" that will instantly attract tons of paying clients and put him in the black for years to come. Sadly, that's just not true. Let's look at this situation counterfactually. Suppose that there is one easy, guaranteed, tried-and-true marketing technique that could double your client base virtually overnight. It could be something as simple as doubling the font size in your newspaper ads, or as tricky as employing "black hat" SEO to attract people to your website. If this really worked, don't you think every lawyer in the nation would already be doing it? The fact is that there is no one magic bullet that an attorney can use to instantly perk up his marketing efforts. Even before you start thinking about miracle cures, you have to attend to all the basics: building a user-friendly website, advertising in the local paper, shaking hands at official functions, and prodding your existing clients to recommend your services to their friends and family. 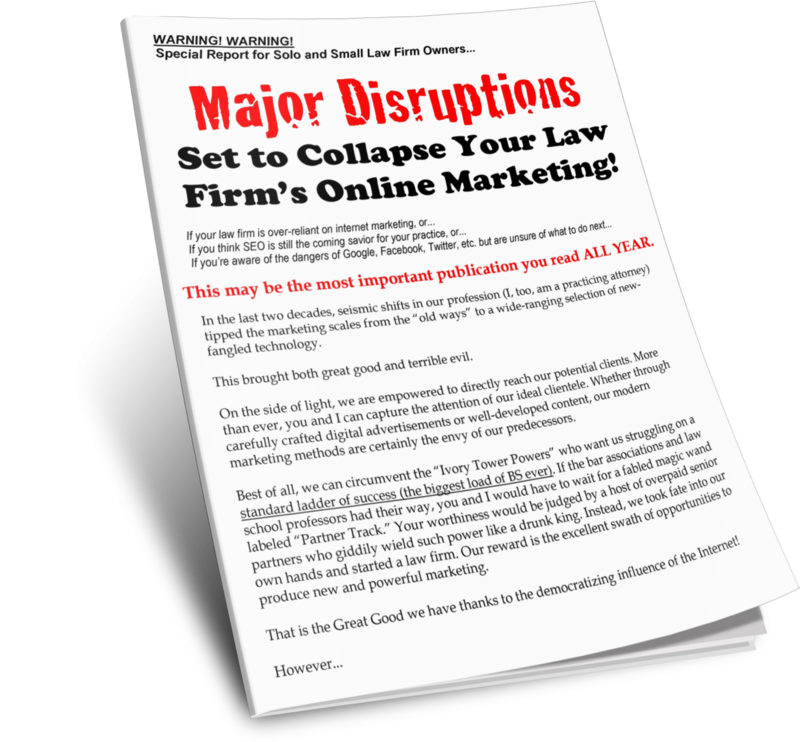 In legal marketing, as in the legal profession, there is no shortcut to success. You have to put in a lot of hard work first. There's another hard fact, which you may or may not want to hear: attracting new clients has always been—and always will be—a difficult process. There are probably dozens of lawyers in your geographical region with the exact same specialty as you, and they're all competing for the same pool of potential clients. Since most people view all lawyers as pretty much interchangeable, the odds are stacked against you right there. What's more, all of these lawyers in your region are probably doing the exact same things as you're doing to market their services. Your competitor's website is probably every bit as functional as yours, the font in his newspaper ads is every bit as readable, and he has also recruited his existing clients to dun for new business. Seems hopeless, doesn't it?